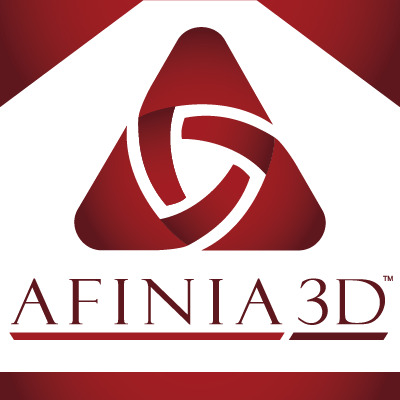 Afinia specializes in providing a true “Out of the Box 3D Printing Experience” for Mac and PC users. Afinia's custom designed 3D solutions feature easy-to-use tools for planning, laying out, orienting, duplicating, and scaling 3D printed designs. Afinia 3D was founded in 2009 to offer affordable, reliable best-in class specialty printing solutions. Afinia is part of Microboards, a company with 20 years of high-tech product, support, and supply chain experience. Afinia specializes in providing a true “Out of the Box 3D Printing Experience” for Mac and PC users. Afinia's custom designed 3D solutions feature easy-to-use tools for planning, laying out, orienting, duplicating, and scaling 3D printed designs. Whether it’s designing your own creations from scratch or building something unique, Afinia 3D printers are ready-to-go, with expert support and a 1-year warranty.